6061 Aluminum is the most versatile of the heat treatable aluminum alloys. It has most of the good qualities of aluminum and it offers a wide range of mechanical properties and corrosion resistance. It can be fabricated by many of the commonly used techniques. In the annealed condition it has good formability. In the T4 condition fairly severe forming operations may be accomplished. The T6 properties may be obtained by artificial aging. It is welded by all methods and can be furnace brazed. It is available in the clad form (Alclad) with a thin surface layer of high purity aluminum to improve both apperance and corrosion resistance. This grade is used for a wide variety of products and applications from truck bodies and frames to screw machine parts and structural components. Aluminum 6061 is used where apperance and better corrosion resistance with good strenght are required. 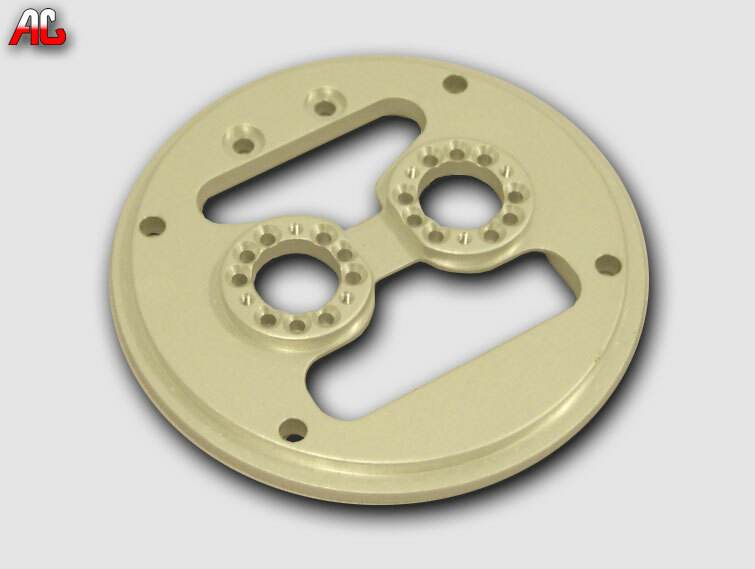 Here is an example of how we do CNC machining. This high volume production job was ordered in thousands of pieces. We got the cycle time down to minutes for a complete part while holding all tolerances. Click the picture or this link to see other examples of precision cnc machining.